1.1.1 Where needs to be configured? 1.1.2 How to configure it? 1.2.1 Where needs to be configured? 1.2.2 How to configure it? 1.3.1 Where needs to be configured? 1.3.2 How to configure it? 1.4.1 Where needs to be configured? 1.4.2 How to configure it? Once we installed Zimbra Collaboration, we need to be aware of some additional configurations that will allow us to send emails to other Email systems with an improve Security, such Gmail, Hotmail, Yahoo!, etc. This Wiki article will show the different Email Protection resources that exists, depends of the volume of sent email, will be better to implement only one, or two, or maybe all of them, depends. Where needs to be configured? +all pass Permits all the email, like have nothing configured. -all fail Will only mark the email like pass if the source Email Server fits exactly, IP, MX, etc. with the SPF entry. ~all softfail Allows to send the email, and if something is wrong will mark it like softfail. DomainKeys Identified Mail (DKIM), is a method to associate the domain name and the email, allowing to a person or company assume the responsibiltity of the email. 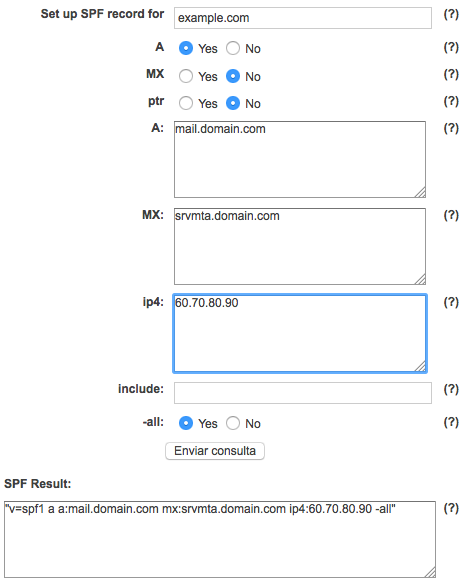 DKIM needs to be generated per domain in our Zimbra Server, and needs to be configured in the public DNS of each domain. http://dkimvalidator.com You need to send a email, once you have the DKIM configured, then in the website will found a section called DKIM and the result in the end, if the test is passed or not. 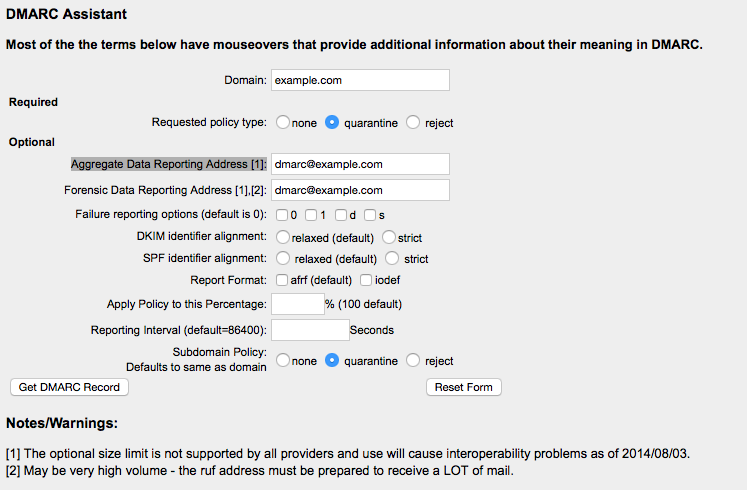 The DMARC needs to be configured in the public DNS. One of the best Sites to test the DMARC is the next link - https://dmarcian.com/dmarc-inspector/google.com is coming with the google.com domain per default. This website will show you all the DMARC information about your domain. The reverse DNS resolution (rDNS) is a determination of the domain name that is associated to an IP. Some email companies like AOL, for example, will reject any email that doesn't have a valid rDNS. In the public DNS of the ISP provider. Or if you have control of the public DNS of your IP range, then you can add the rDNS by yourself. In the Zimbra Server, need to edit the HELO to match between it and the rDNS record. To modify the Public DNS to match the IP and the rDNS, you need to contact with your ISP provider, or if you have acces to edit the DNS record of your IP, then change it by yourself. For example, if you have the IP 60.60.60.60 and needs to resolve to mail.example.com. Use the next tool - http://mxtoolbox.com/ReverseLookup.aspx and fill it with your Public IP, if you have everything well configured, will return the name that you want.